SALT LAKE CITY — Elizabeth Warren is headed to Utah on Wednesday after promising to restore broader public lands protections for two of the state’s high-profile national monuments if elected president. 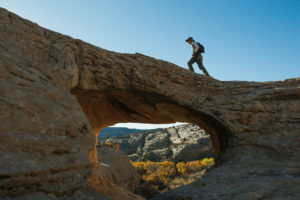 It’s a move that would not endear her to Utah’s GOP establishment but could appeal to voters across the West angered by President Donald Trump’s decision to shrink the monuments. Any Democrat will face an uphill battle to make serious inroads in the reliably conservative state, even though Utah Republican voters tend to be more wary of Trump than others elsewhere. What do Democratic candidates need to make the first 2020 debates?